I also found this Military looking type pin. It was a good 11" down soft sweet signal. The size of a Quarter about. 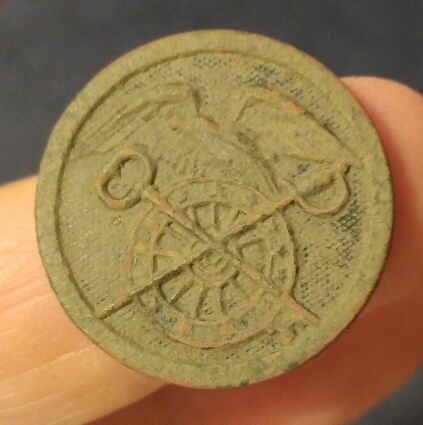 I researched it and found out it's a WWI Quarter master collar pin. Edited 1 time(s). Last edit at 04/05/2019 07:20AM by Harold,ILL..